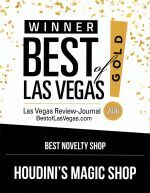 I AM SO PROUD TO ANNOUNCE HOUDINI'S MAGIC SHOP HAS WON THE LAS VEGAS REVIEW JOURNAL'S BEST OF LAS VEGAS FOR 2017. TWO YEARS IN A ROW. I THANK EVERYONE WHO VOTED FOR US AND ESPECIALLY THANK ALL OF MY WONDERFUL EMPLOYEES FOR HELP MAKING THIS HAPPEN. This ten DVD set teaches you everything from the classic book EXPERT AT THE CARD TABLE by the mysterious S.W. Erdnase. Every aspect of the book is taught by ALLAN ACKERMAN one of the top card magicians and teachers in the world. A great mini version of the Strat-O-Sphere! Perfect for starting out with or if you just want to do the effect in a smaller setting!. A magician makes two piles of cards giving one of them to a spectator. Three spectators mentally select a card from the magician's half of the deck. Then the magician commands the mentally selected cards to disappear from his half and into the spectator's pile. Fun and easy to do! Tricks that you can carry around in your pocket and impress your friends and loved ones! A red spirit light appears, disappears, and changes places by magic. The World's Fastest Trick (Replacing Lethal Magic With Lethal Quarter) A wallet is shown containing one playing card and two coins. The spectator is asked to pick a coin (example silver coin is chosen) leaving the brass coin in the closed wallet. The silver coin is placed on the top of the spectator's hand. The performer flicks the playing card over the silver coin and in an instant, the brass coin is on their hand. Inside the wallet is the silver coin! Tell people how it really is with this Presidential mask. Some of our best sellers combined into one awesome bundle! If you like to gamble, or you want to learn how this is the bundle for you! This great magic bundle comes with a variety of magic tricks put together, for maximum fun, and simple enough for a young aspiring magician! Exciting trick variations, all designed for ages six and up! Some Bundles have a few different items in them, depending on availability of the item. 6 years of age. Awesome Money Bundle deal. This set includes money themed items that you can carry around in your wallet all day! A great set for the ESCAPE ARTIST. Perfect for the Houdini Collector or Escape Enthusiast! 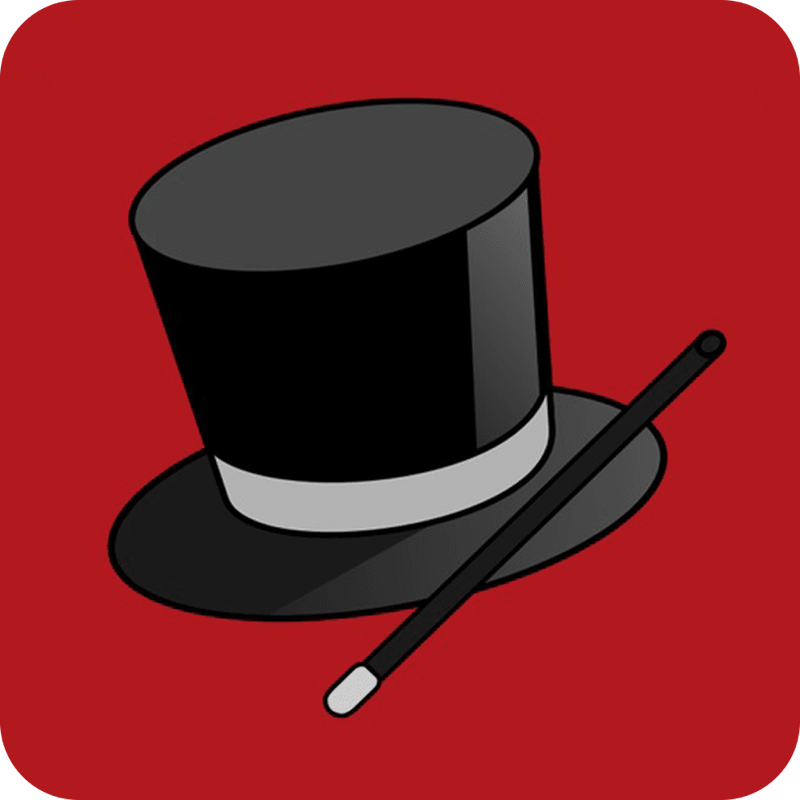 Use The Secrets of Magicians & Cart Cheats To Scam The Big Bucks! Reading this you will quickly realize it is not so much what the magician does that makes him great, but instead how he does it. To simply know how the magician accomplishes his magic is nothing--it is the manner in which he presents his performance before an audience. All of the great magicians have had something associated with their performances, something special that makes them stand out from the others. 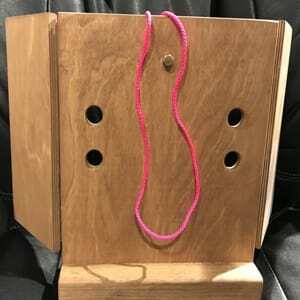 For Blackstone, both Senior and Junior it was and are the Vanishing Birdcage, the Dancing Handkerchief, and Comedy Rope Tie while picking the pockets of spectators from the audience assisting on stage. For Houdini, it was his spectacular escape from a straight jacket, and at various times in his career, the escape from a giant milk can be filled with water and later his original water torture cell. For Dante, it was his presentation of his Backstage Illusion. Everybody in the audience thought they saw how it was done, but in the end, he fooled them all with a surprise finish. Dante was also noted for his Lazy Magician where he sat on a chair smoking a cigar while female assistants brought out a cane, rope and silk scarves. In a lazy manner, he performed magic. It was his personality that projected. Cardini was known for his suave presentation manipulating playing cards while wearing white gloves and Channing Pollock for producing white fluttering doves out of nowhere. To have a violin and sheet music does not make a person qualified to take a seat with the New York Philharmonic Orchestra. The same applies to magic. To have a deck of cards and several silk scarves does not make one a magician. All of the people you read about in this book have dedicated their lives to perfecting their art. The presentation of magic in a theatrical form is n art. The study of magic and its application is a science. To a real professional magician, they never call their magic a "trick." It is always an effect which is short for theatrical effect. For it is the overall presentation and end result, the way it appears to the viewing audience that qualifies it as an art. Magic and its presentation is a form of affecting people's emotions through drama. In presenting each effect, the magician is telling a story. As the story unfolds, the emotions of the people in the audience in the form of dreams are told. Things a magician performs fulfills a basic fundamental desire in each person, either on a conscious or subconscious level. Channing Pollock once said that he felt magic represented power; at least on somewhat of an artificial level. In the best presentation, the Art of magic expresses desire, wishes, dreams and a balance with reality in a symbolic form, and the balance with the natural laws of science. Theatrically a magician must be a good actor because the magical effect (or play) does not in itself play out the plot. The great magician must project personality, style, timing, voice inflection, and all the other qualities of a great actor. The father of modern magic, Robert-Houdin of France said, "A magician is playing the part of a man who works miracles ." How much can a magician do with the theatrical form of magic? Where can he draw his art? Here are the basic concepts in magic when you approach it as a science. The Wall, an effect that will fool 99.9% of the audience! CLICK HERE to view!! George Bernard Shaw ranked Houdini as one of the most important persons in the world. And nearly three-quarters of a century after his death, Houdini remains synonymous with the art of magic. Houdini performed illusions and escapes throughout Europe, the United States, Russia, and Australia, notwithstanding being the highest paid performer of his era, and an aviator, a fight fan, an inventor, a writer-author, and film maker. Houdini's Magic Shop offers magic tricks, gags, pranks and novelties with the theme of the late great Harry Houdini. America's first magic shop existed in New York City before the turn of the century, and magic was performed in close-up style in the bars on Broadway as far back as the mid 1700's. It became a part of New York. Even Houdini operated a Magic Shop in New York. Houdini's Magic Shop will re-create that magic. 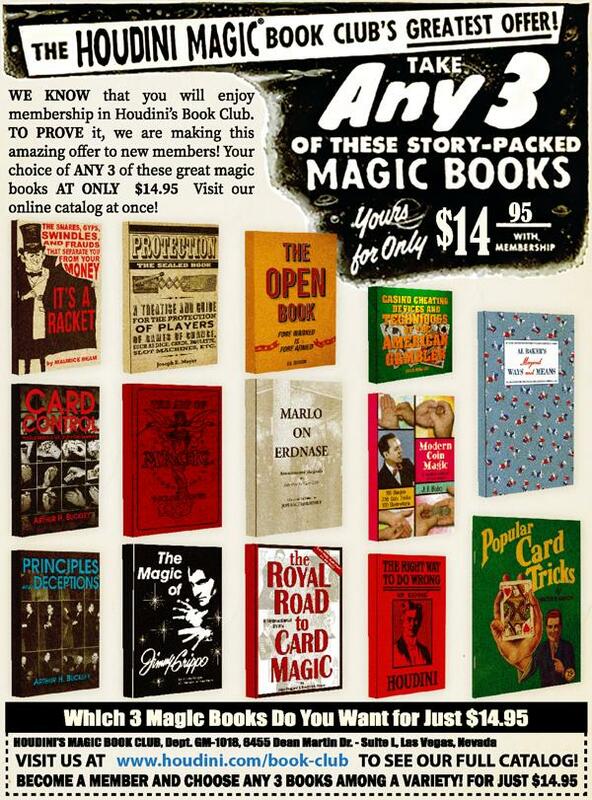 Houdini's Magic Shop instill's excitement, wonder and a touch of the mysterious. Accentuating the magic is the HOUDINI MUSEUM, at the Venetian Hotel, with many Houdini items, including framed and autographed pictures and letters from the legendary Harry Houdini, and even authentic Houdini handcuffs and restraint device valued in the thousands. Full size stage illusions similar to those used in his show. Many more unique and "one of a kind" items and ephemera are on display in this unique retail exhibit. Magic has been a universal art form that dates back thousands of years. It breaks all language barriers and has broad appeal to all ages and sexes. In a simple word, it is fun! Houdini's Magic Shop presents magic with a special twist - a performance with audience participation. Throughout the day, there is a free magic show for all guests and visitors. The specially scripted show is geared to capture the interest of all ages, with carefully selected magic tricks, gags and novelties having a strong family appeal.